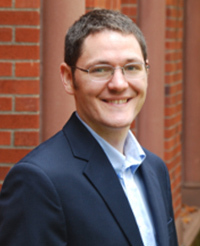 Kristian Holden is currently a Researcher with the Analysis of Longitudinal Data in Education Research Program at the American Institutes for Research. His interests include teacher mobility and teacher pensions, and education reforms, such as the effects of textbook funding on academic achievement for low-performing schools in California. His work has been accepted and published in peer-reviewed academic journals such as Educational Researcher and American Economic Journal: Applied Economics. He received his Ph.D in Economics from the University of Oregon in 2014, and uses his training in empirical labor economics to study topics in education.